If you are thinking about making a move in West Calgary, you have come to the right place! As regional real estate experts in the Westside, we can help you negotiate the absolute best price when buying a home in West Calgary while making sure that you have all the information needed to make the best decisions. What makes es experts in West Calgary, you might ask? We draw on our intimate knowledge of Calgary’s residential market through experience as successful REMAX Real Estate Professionals and REALTORS® to help our clients accomplish their real estate goals in a service-focused and timely manner. During our time as real estate agents, we’ve helped many people with their transactions in the West Calgary communities and would love to share our knowledge, skills and expertise with you! The success of our business is built on relationships and our priority to provide you with only the best possible service, advice and representation in every aspect of your real estate transaction. If you choose us as your real estate agents and REALTORS® for your next transaction, we promise to always protect and promote your best interests while providing you with only the absolute best service experience. We are 100 percent committed to making sure you are fully informed, save time and get the best value every step of the way. We take care of the details for you! Buying a home is a big commitment; having only the best industry professionals by your side is key in a making your move a success. Our experience in Calgary’s residential market has brought us into touch with many different industry professionals who are experts in their respective fields. We have the connections to provide you with an all-round service experience. When you need a real estate lawyer or home inspector, we can forward to you to trusted contacts of ours or if you’d like we can use someone you know and would prefer. At the end of the day, we are here to make your buying experience as easy and stress-free as possible. Buying a home should be exciting.. so let us take care of all the details for you!  Questions about West Calgary Real Estate? Don’t settle for anything less than the best when buying real estate in West Calgary! As REMAX Professionals and REALTORS® with many years of experience in helping people buy and sell homes in West Calgary, we guarantee to provide you with only the best level of service, advice and expertise while taking care of all your real estate needs. Call anytime or message us below and we will get back to you quickly – if not immediately. We are looking forward to helping you accomplish your luxury real estate plans in West Calgary! Thank you! We will get back to you shortly, if not immediately!